Lakes Entrance Accommodation comprises of Apartments, Motels, Hotels, Cabins, Cottages, Caravan Parks and Resorts. Cruise the Gippsland Lakes on a Lakes Entrance Charter Cruise or Fishing Charter. See Dolphins, Seals and abundant wildlife. Get the latest Lakes Entrance Fishing Report. Updated weekly by local fishermen - Metung, Paynesville and Mallacoota. Take a Day Drive, Tour, checkout the Beaches and Rivers. See Rainforests, Walking Tracks and Bike Trails. Buchan Caves is a 45 minute drive north of Lakes Entrance. Spend the day doing Cave Tours and seeing the wildlife. Download Lakes Entrance's FREE Mobile App for iPhone, iPad and Android phones. Tours, Accommodation & Cruises. Lakes Entrance is the Seafood Capital of Victoria. East Gippsland also has a huge range of Eateries and Farm Produce. Lakes Entrance is hosting a Pop-Up Dolphin Discovery Centre during the summer at the Mechanics Hall, next door to the local Library. See the rare Burrunan Dolphins in the Gippsland Lakes. Take a Charter Cruise onboard the Lonsdale Eco Cruise and see the Dolphins, Seals and Birdlife of the Gippsland Lakes up close. April 6, 2019 - Visit our website. The event will bring together chefs, producers, brewers and educators who make up some of the best of Victoria’s culinary landscape. Attendees will enjoy a fantastic day out, sampling food, wines, beers and being educated on current matters relating to producing. 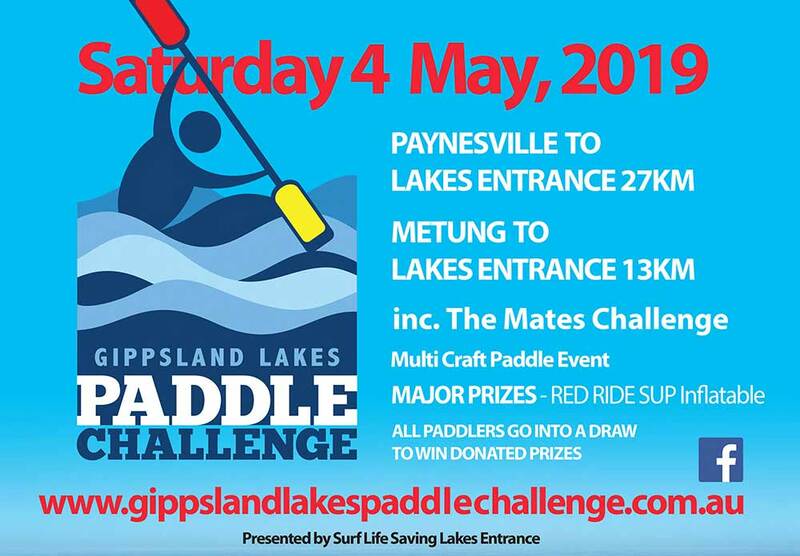 Experience & paddle the open water conditions on the Gippsland Lakes, on Australia's largest inland water way. View the spectacular man made entrance on the 90 Mile Beach.